Can you believe that in a little over six months Jersey Boys will celebrate it's tenth year on the Great White Way? It seems like only yesterday that I saw the show for the first time. Which I loved by the way. I mean what's not to love? Great music. An aspiring story. Plus Joe Pesci is a character in the show too. Does it get any better than that? Now prior to seeing the show I knew nothing abut it except I knew I loved the songs. What I didn't know was how rough their life was or how much they went through to become one of the world's most beloved bands of all time. It truly is a remarkable story. Which is why you need to see it. Not only that but if you order now we can get you tickets to see Jersey Boys at some incredible savings. Just give us a call and we will take care of the rest. 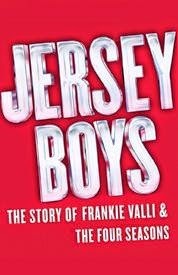 Get your Jersey Boys tickets now on Broadway at the August Wilson Theatre. Oh what a night! Until next time theatre fans.